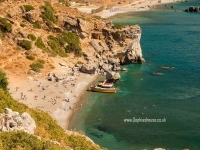 Prevelli Beach is on the South Coast, best park in car park on right hand side as you look out to sea. 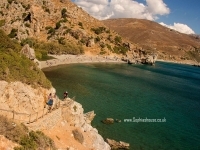 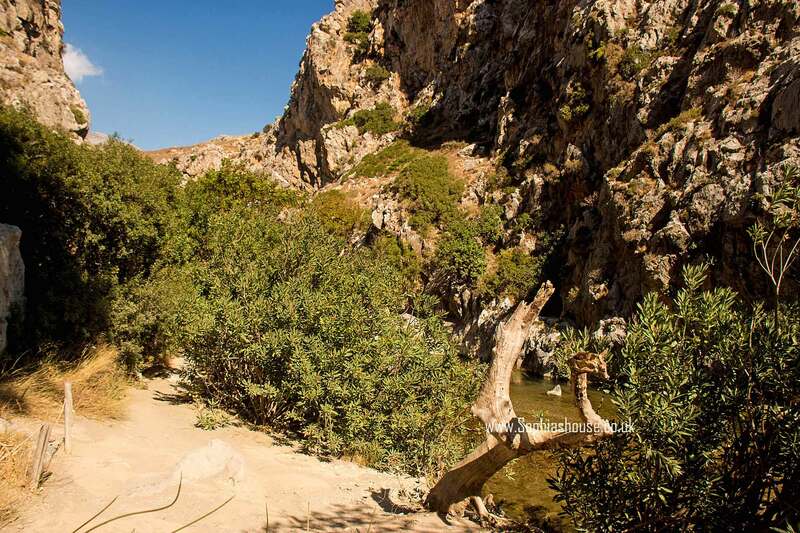 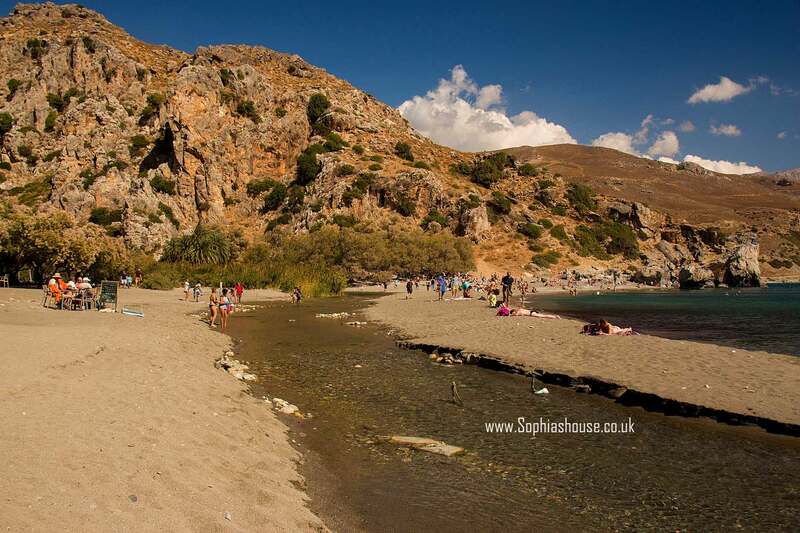 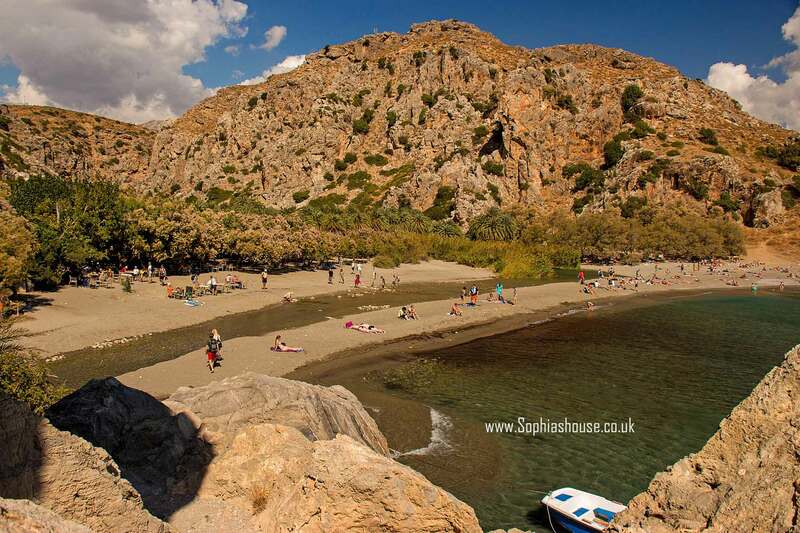 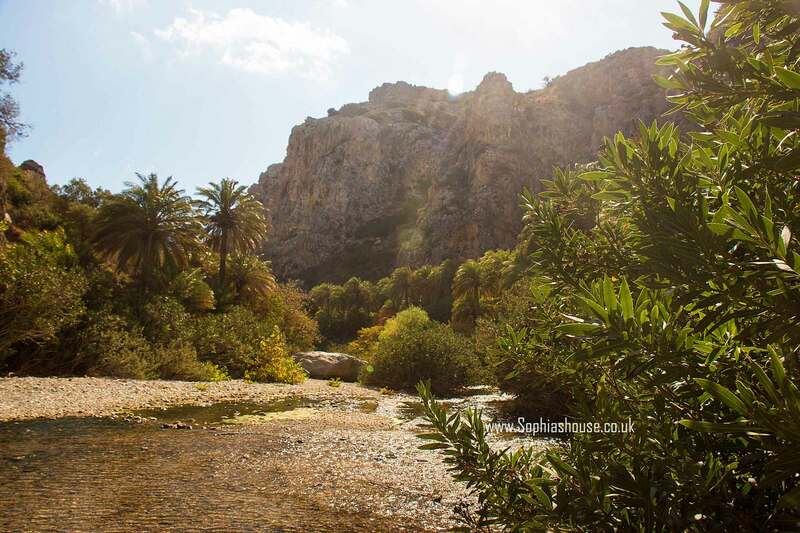 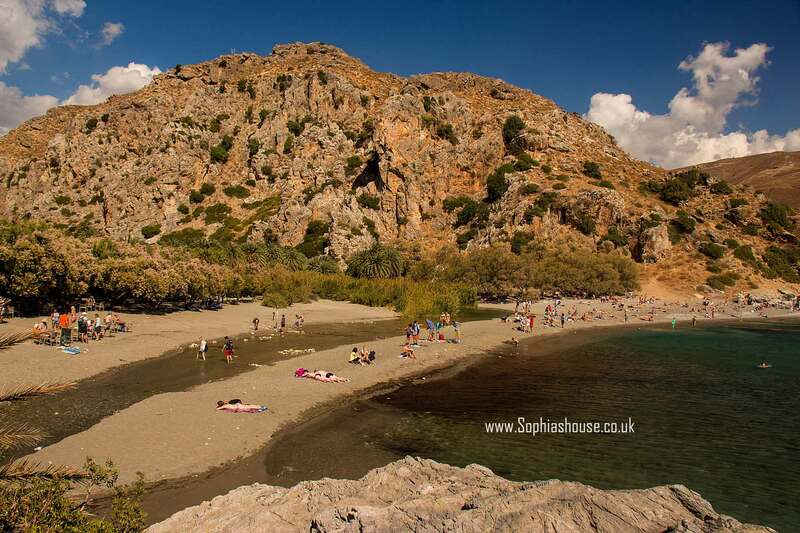 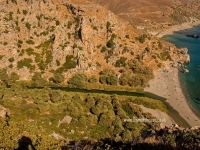 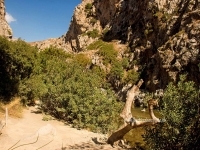 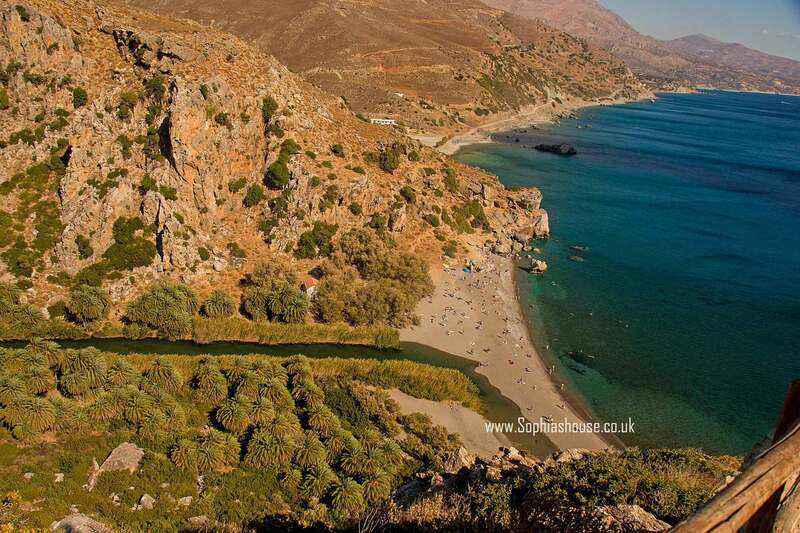 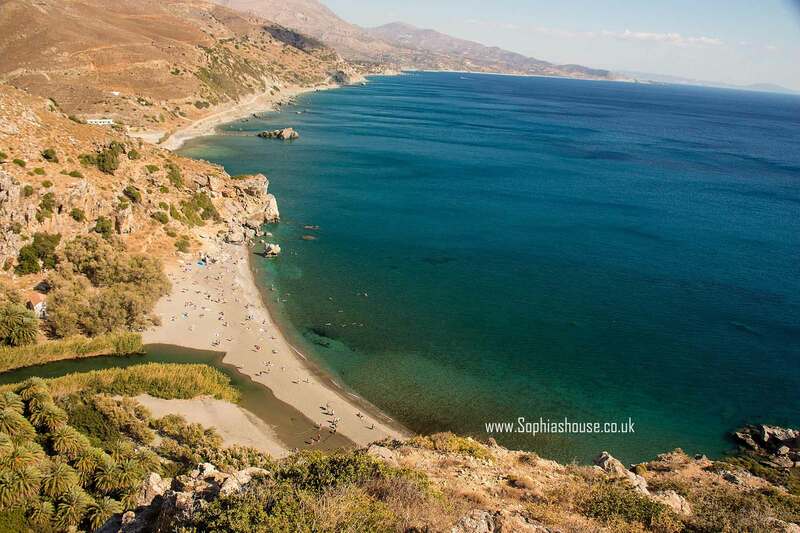 The beach is set at the bottom of the Kourtaliotikos Gorge where the river meets the sea. 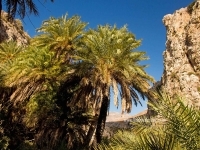 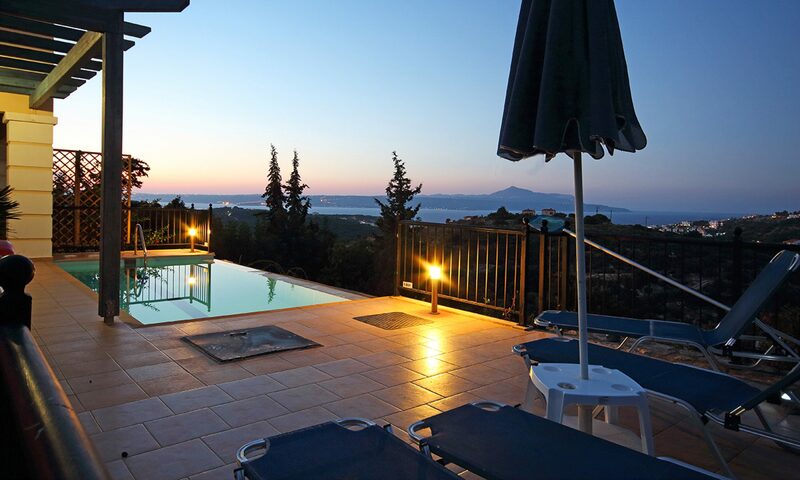 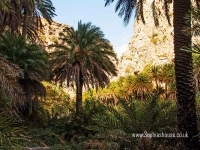 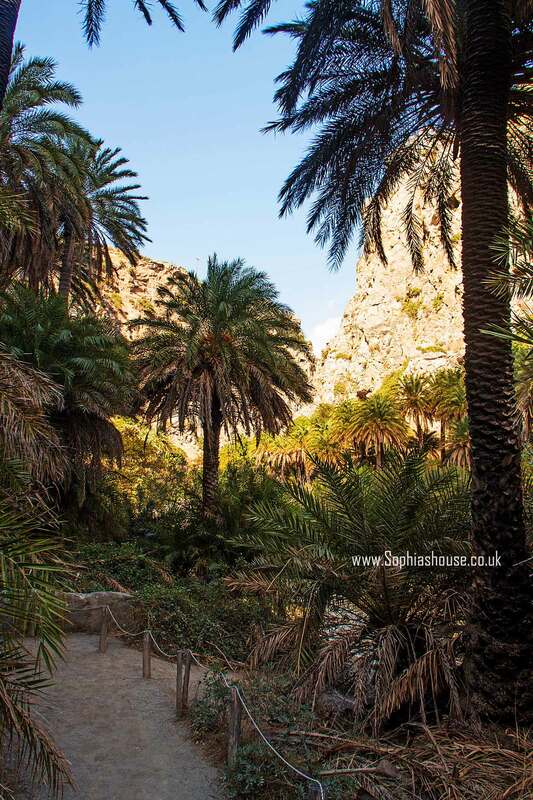 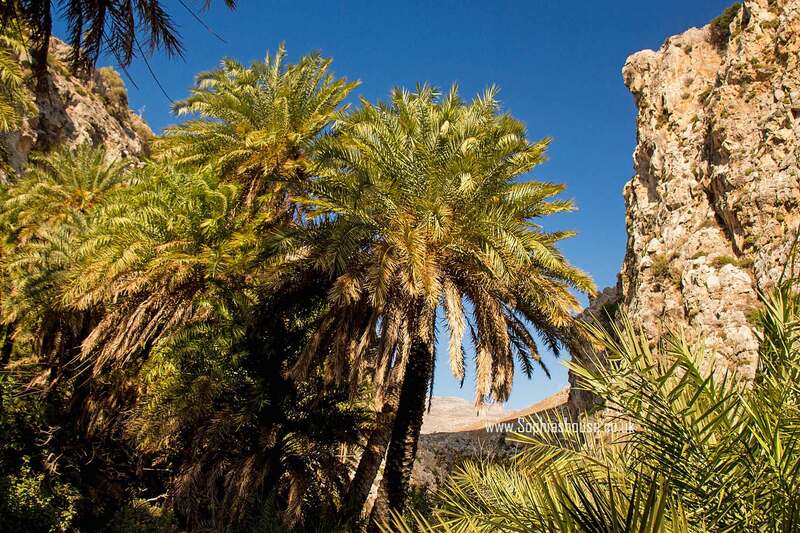 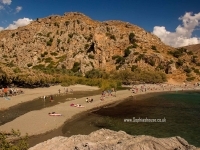 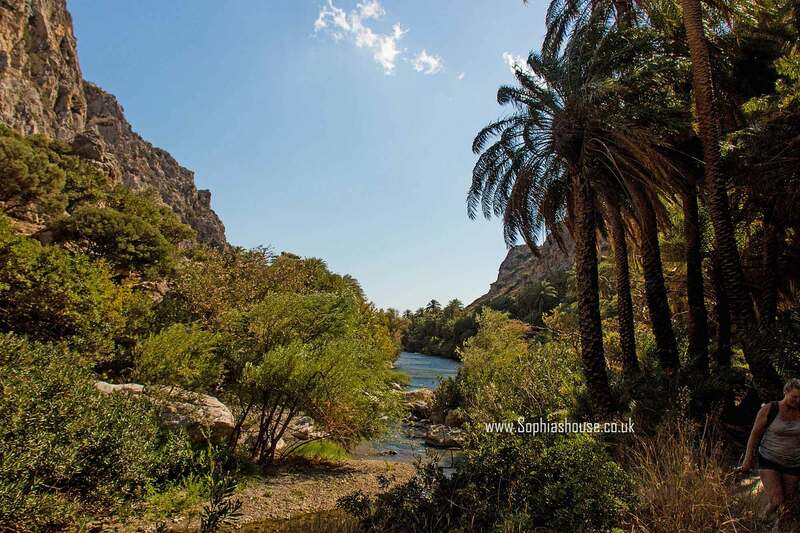 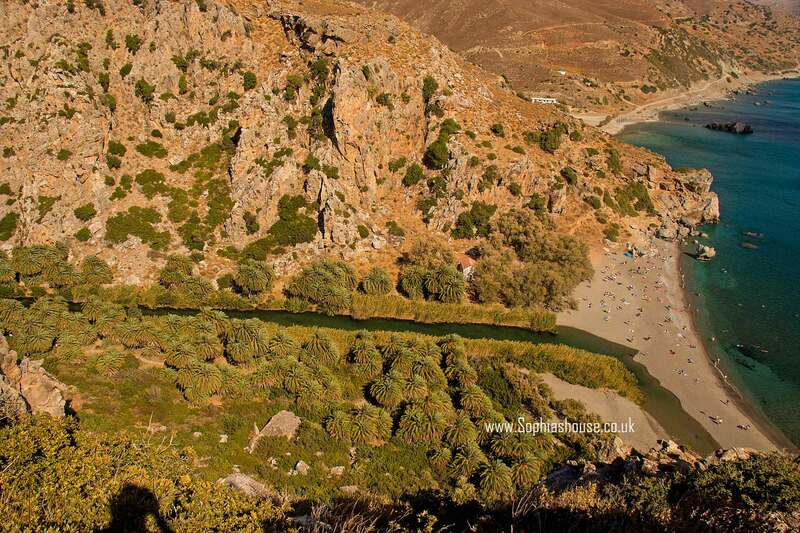 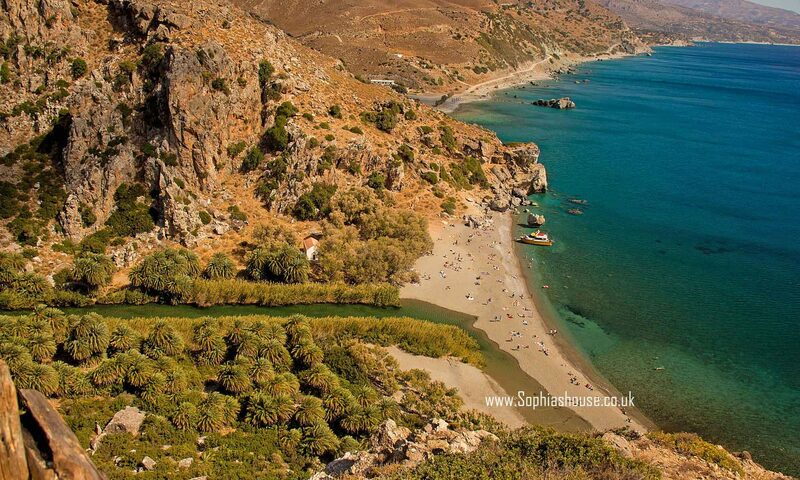 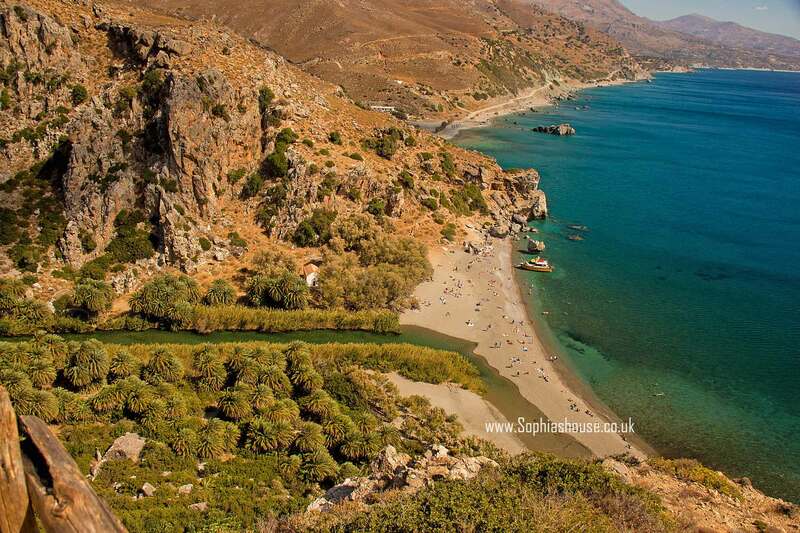 One of the most famous beaches on Crete with Palm trees lining the small lake and river. 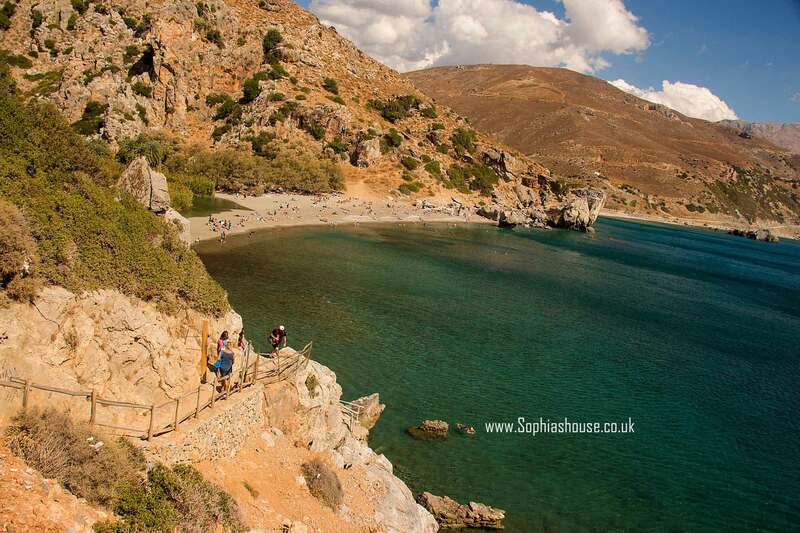 Beware its a long steep path down to the beach.